Whether you have one van or 20 vehicles our comprehensive Fleet and commercial insurance can protect your fleet. Our insurance policies give you cover for personal, commercial or business use. Our fleet policy is ideal if you use more than one vehicle in your business, and is preferential to insuring all your vehicles individually. We can also offer fantastic rates for protecting a wide range of other business needs. Our expertise extends from package policies for tradespeople, shops and offices to more complex policies for larger organisations in need of combined commercial covers. Our cover can be adapted to suit your current business needs. Contact us now on 0131 555 5999 for a free no-obligation quote. See if we've answered it below, and if not, please don't hesitate to contact us and let us know how we can help. How many vehicles do I have to insure to qualify for fleet insurance? Usually a fleet is three vehicles or more, but we have exclusive deals with insurers to start a fleet at two vehicles. We also offer cover for single vans at highly competitive prices. What will fleet insurance cover me to use my vehicles for? You will be covered for business use, social use and carriage of goods, but there must be an element of business use on all vehicles. 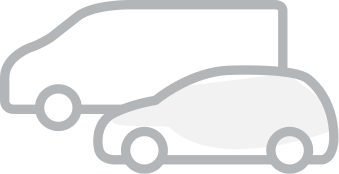 What vehicles can I get cover for on a fleet insurance policy? Private cars, vans, tractors and special-type vehicles. Any vehicle will be considered as long as it’s being used for business. General options are any driver over 21, any driver over 25, or any driver over 30. Or, you can specifically name drivers, especially younger drivers from 17 years upwards. Is there a limit to the mileage covered under a fleet insurance policy? Mileage is not an issue on a fleet policy. Can my tools be covered? We have an additional product you can purchase that will cover tools in transit to ensure they’re covered to a value that suits your requirements.